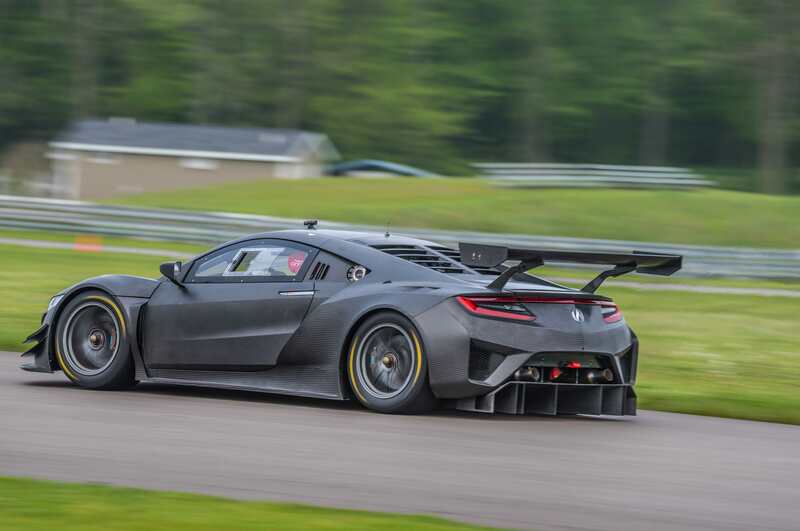 Racing customers will soon be able to get their hands on the Acura NSX GT3. In North America, Honda Performance Development is now accepting orders at AcuraClientRacing.com, but expect to pay a hefty premium over the standard NSX. The exposed carbon race car will be offered for sale globally ahead of the 2018 racing season at a starting price of ?465,000. Today, that equates to about $542,500, although final U.S. pricing is subject to currency conversion established at the signing of the contract. In comparison, the standard NSX starts at "just" $157,800, although special paint colors, seat upholstery, wheels, a carbon fiber rear decklid spoiler, and other options can bring up the price quickly. 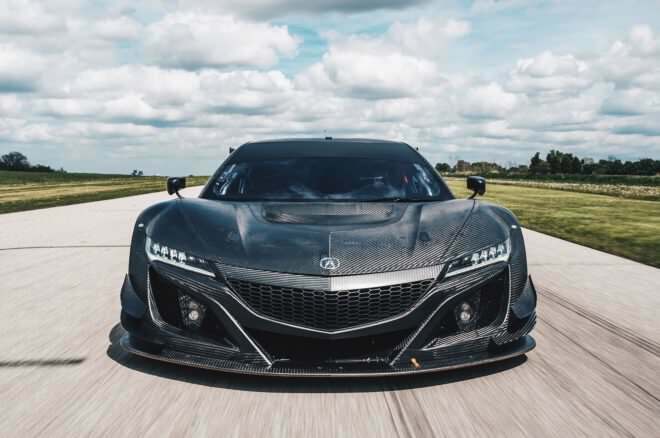 The GT3's 3.5-liter V-6 has the same design specs as the production NSX engine, and both are built at the Anna Engine Plant in Ohio. However, the race car uses a six-speed sequential-shift gearbox delivering power to the rear wheels. The race-ready GT3 also goes without the standard model's hybrid system. Final assembly of the GT3 is completed in Italy by JAS Motorsport, which is handling sales in Europe, the Middle East, and Asia. 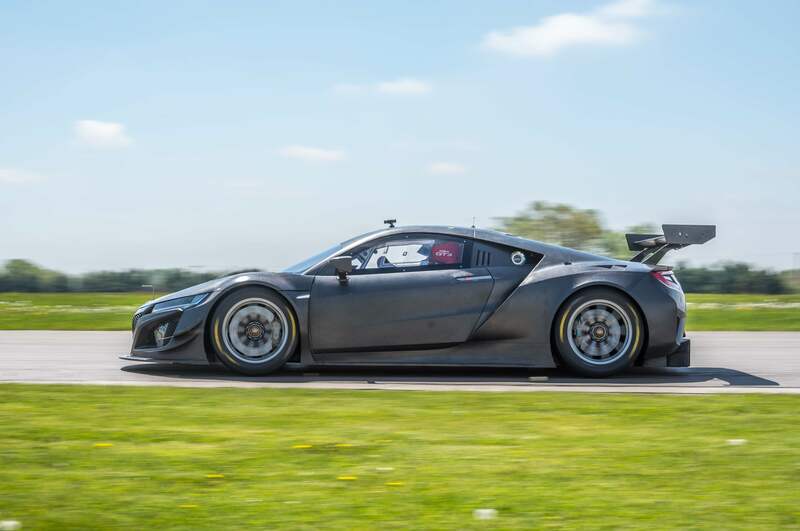 The NSX GT3 is eligible to race in more than two dozen FIA-sanctioned racing series around the world, including the Pirelli World Challenge and WeatherTech SportsCar Championship series in North America, Blancpain GT Series and 24 Hours N?rburgring in Europe, Blancpain GT Series Asia and GT Asia Series, Super GT GT300 class in Japan, Australian GT Championship, and the Intercontinental GT Challenge. Among its accomplishments so far, the race car won in its inaugural season of the WeatherTech SportsCar Championship.